Demand for healthcare practitioners of all kinds has been on the rise. 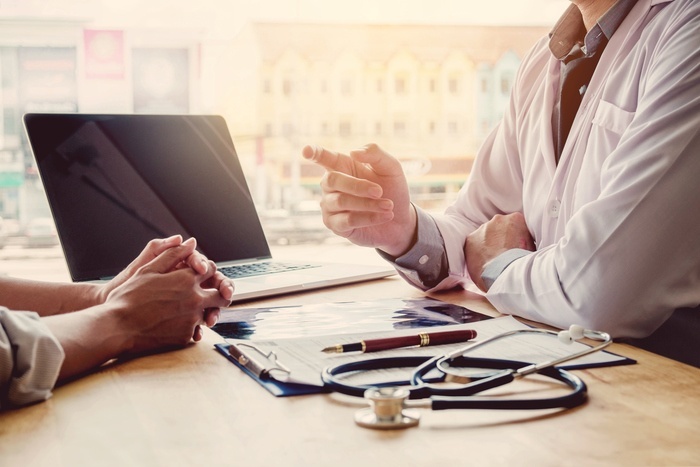 In a recent report by the Association of American Medical Colleges (AAMC), data shows that the United States could see a shortage of up to 120,000 physicians by 2030. The same report also notes that one-third of active doctors will be retiring within the next decade, further impacting the supply of qualified physicians. Not surprising, the physician shortage has spiked demand for locum tenens clinicians in several specialties. And while some have turned their gaze to the future - hoping to clear the bottleneck in medical training - we want to address what can be done to meet patient needs in 2018. Let’s look at the four locum tenens specialties in greatest demand below. Although demand in specialty areas is growing, demand for primary care clinicians remains strong in the U.S. In fact, The AAMC report mentioned above predicts that we’ll need between 14,800 and 49,300 primary care physicians by 2030 to meet patients’ needs. This presents a unique opportunity for locum tenens clinicians working in primary care. Even more, remote and underserved communities - where a lot of locum tenens jobs are available - typically have too few primary care providers. As a result, primary care clinicians have more options to choose assignments that meet all of their needs and wants. The next position in high demand is hospitalist, which focuses on general medical care for hospitalized patients. According to the New England Journal of Medicine (NEJM), 75% or more of hospitals employ hospitalists, and the number of hospitalist jobs increased by 72,000 in a 4-month period in 2016 alone. Hospitalist clinicians can be employed by hospitals, a management company or as a physician partner, and regularly participate in teaching, research and leadership related to hospital medicine. Locum tenens clinicians in this role need to be problem solvers who work well under pressure. They also need to work well in teams, as they may lead a team of physicians and nurses, and be experts in clinical workflow. Nearly 1 in 5 adults in the United States experience a mental illness within a given year, according to the National Alliance on Mental Illness (NAMI). Yet, many Americans lack access to care, partly due to the shortage of qualified psychiatrists. And as the 2017 National Council for Behavioral Health report notes, demand is projected to outpace supply with a shortage of up to 15,600 psychiatrists by 2025. Locum tenens clinicians who provide psychiatric care require various levels of training in order to conduct therapy and prescribe medication. At psychiatric clinics, hours may vary, and working locum tenens can give you the opportunity to find a facility that’s conducive to a more balanced lifestyle. As you might imagine, as the population continues to grow and aging Baby Boomers require increased medical attention, the need for emergency medical services also increases. But in an American College of Physicians study released last year, data revealed that between 2006 and 2014, the number of emergency department visits grew by 14.8%, outpacing the growth of the population, which was only 6.9%. Locum tenens physicians working in emergency departments need to be quick on their feet, work well under extreme pressure and able to make quick but informed decisions about a patient’s situation. The hours are often very long, but working locum tenens allows you the flexibility to create a schedule that best fits your needs. Medical facilities are turning to locums tenens clinicians more often in order to meet patient needs. As the shortage of qualified healthcare practitioners worsens, the demand in particular specialties will continue to grow. To help bridge the gap between patients’ needs and access to care, consider finding your next locum tenens job in one of the specialties above.